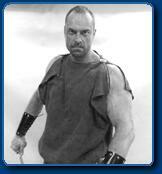 Check out this 2009 photo of Conan Stevens the world's biggest action hero. 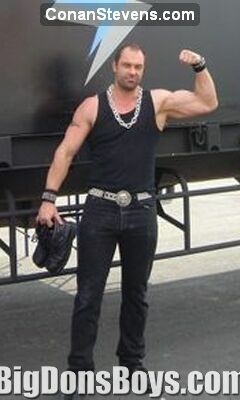 He is 7' 1/4" tall and over 320 muscled pounds and has worked on 18 professional film shoots! 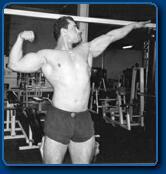 He's been a buff wrestler, lanky nerd, writer, working actor, giant bodybuilder and brainy programmer. He even made a crisply designed website for himself at the link below. Read his great stories there of how easy it is to pick up girls, how hard it is to wrestle, and how boring it can be trapped on a movie shoot for months. What a neat site! At right check out Conan in a giant costume (what other kind would he wear) from the HBO fantasy miniseries "Game of Thrones." 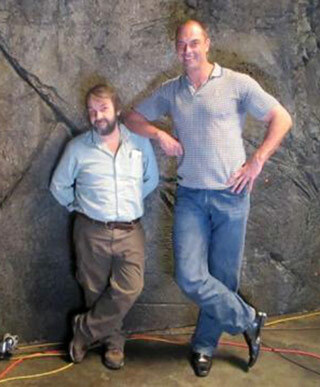 Even better, he has been cast in Peter Jackson's "The Hobbit" (see below).Below are some of Conan's earlier pictures. 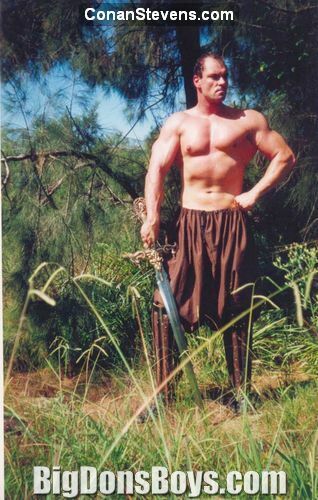 As you see he's had many adventures on various continents playing monsters and soldiers and guys with big muscles. Now that's the type casting I go for! 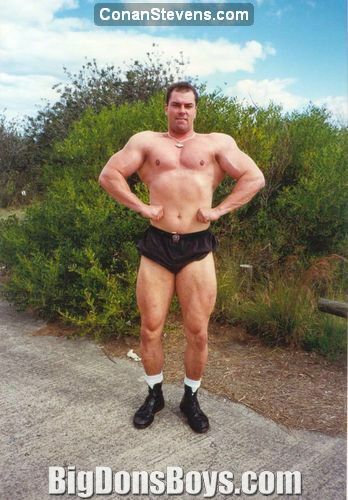 At seven feet tall Conan stopped growing right at the upper limit of a healthy physique. 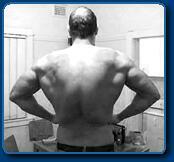 Any taller and people start having lower back problems and organ stress. 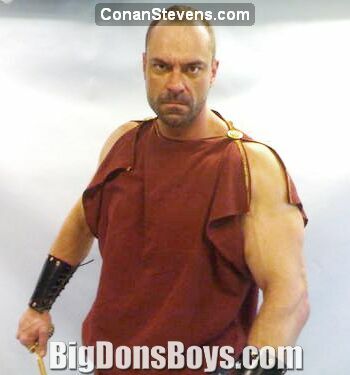 In other words, for gigantophiles like me Conan Stevens has a perfect body. 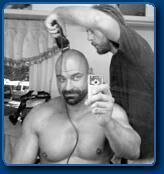 GIANT BODYBUILDER CONAN STEVENS CAST IN THE HOBBIT! 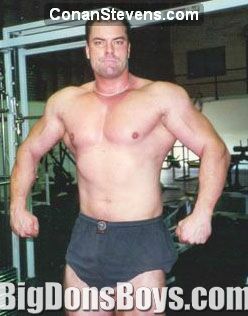 Actor Conan Stevens has left the world of chopsocky Thai movies behind and gotten a major career boost playing (of course) a giant monster named Azog in Peter Jackson's long awaited The Hobbit. I was hoping he would play Beorn, the big beefy guy they meet who seems to turn into a bear when nobody is looking. Every Tolkien fan around the world knows about this prequel to The Return of the King, the 2004 Oscar winner for Best Picture. Details at Conan's website! 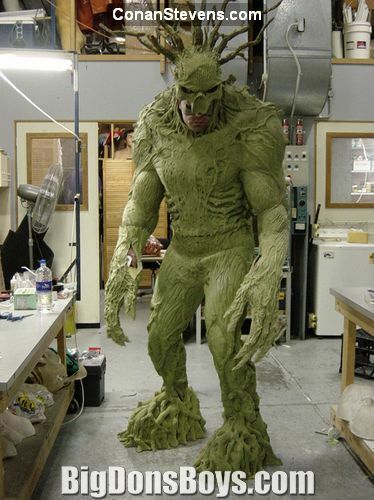 The first big movie I worked on was Deep Blue Sea for WB and I remember how exciting it was to be in a real "Hollywood" production and that was just as an animator. Conan will be onscreen and on set. But covered in mounds of rubber appliances no doubt.